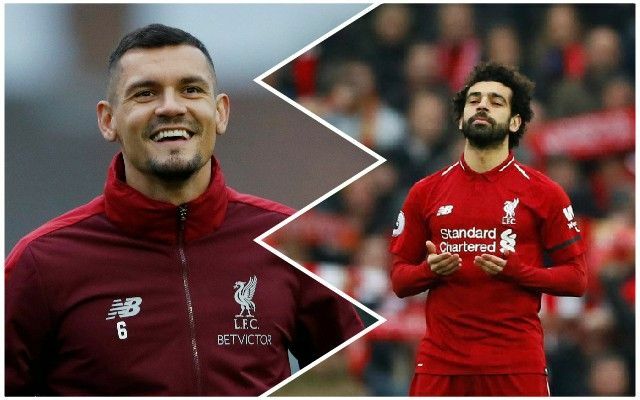 Dejan Lovren has hinted that it could be criticism of Mo Salah which has caused the Egyptian to delete all his social media profiles. Reds fans noticed a couple of days ago that Salah’s Twitter had been deleted, before his Instagram was then removed too. Salah’s Facebook page has been taken down as well. In the last few weeks, Salah has come under scrutiny for so-called ‘dives’, with the focus more on that than his 16 Premier League goals. That post is slightly cryptic, but Lovren knows Salah as well as anyone and it is highly likely that it relates to him. The Liverpool Echo suggested yesterday that Salah was part of a publicity stunt undertaken by DHL Express Egpyt, with the logistics company claiming they were able to get in contact with the Reds man, saying “stay tuned” and “follow us for the details”. The most important thing is that Salah performs on the pitch – but it does seem strange that he left social media in such a manner. Time will tell what the real explanation is for his online absence.